Croydon Amphibians Masters are a friendly and sociable group with over forty members. Many of our swimmers compete in Masters' competitions or triathlons, others swim to improve their fitness level, so our sessions are organised accordingly. Unfortunately our sessions are not suitable for beginners, but age is no barrier. We currently train four nights a week in a variety of pools in and around the Croydon area. We have aimed to make the structure of the Masters' section as flexible as possible as we appreciate that many of our members have other commitments outside of the club. Simply decide how many sessions a week you would like to swim and come on whichever evening suits you best, even though this may vary from week to week. Our fees are structured accordingly. Still interested? For further information please contact Masters Secretary Marianne Rooke-Allden. 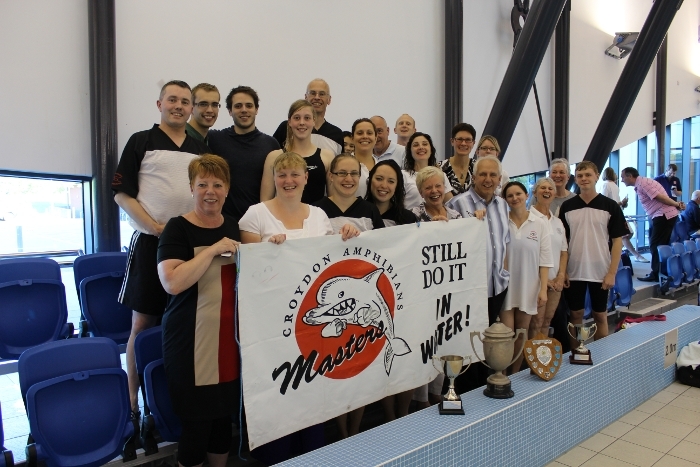 Croydon Amphibian Masters have a great number of swimmers that compete regularly at galas and swim meets up and down the country as well internationally. The big meet of the year is the Surrey Masters. This is an official event, that is well organised and a fantastic opportunity for everyone to swim as a team. We have been very successful at this event and have lifted the trophy on a number of occasions as overall winners. 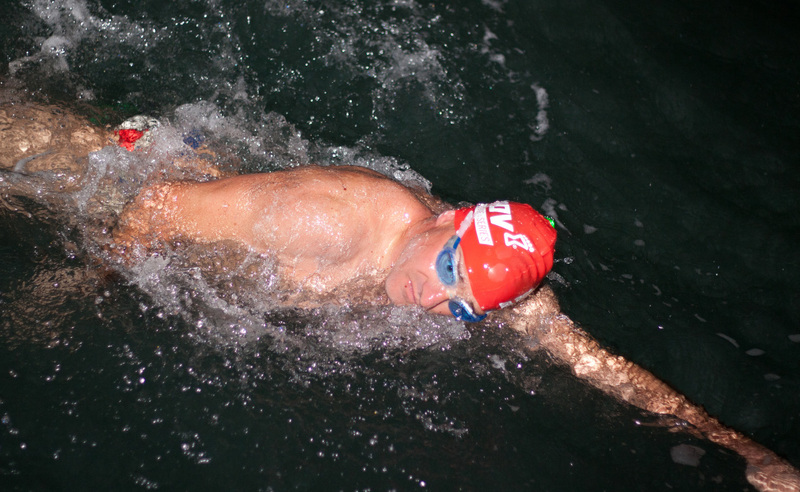 ​The main masters meet that all swimmers are expected to attend (please). A fantastic event with 25/50/100 metre races across all strokes. For further Masters Gala information please email Anne Raymond. 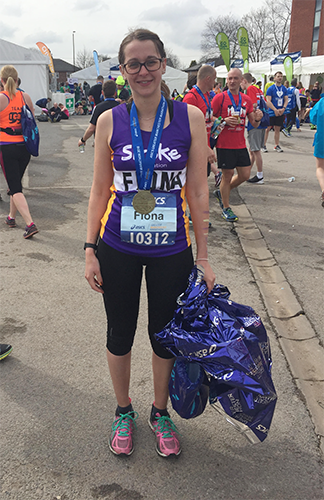 Many congratulations to Fiona Prowting who completed the Manchester Marathon on the 8th April 2018 in a superb time of 4 hrs 13 minutes and 28 seconds. On Saturday 8th September 2012 CASC Masters swimmer Mark Bayliss broke the world record for, perhaps, the most challenging and iconic "Triathlon", the "Arch to Arc" Enduroman Challenge. This challenge saw him run from Marble Arch to Dover, swim the English Channel and then cycle into the record books along the Champs Elysees to finish at the Arc de Triomphe in Paris. He started at 10:30 on Wednesday 5th, finishing 73 hours and 39 minutes later just after noon on Saturday 8th September. In 2007 he first swam the English Channel and this provided the baseline for planning this momentous feat of endurance. Mark is the 11th athlete to complete this challenge, but, maintaining Surrey's premier position in cross Channel swimming, is the first to complete the swim without a wetsuit, fully compliant with Channel Swimming rules. 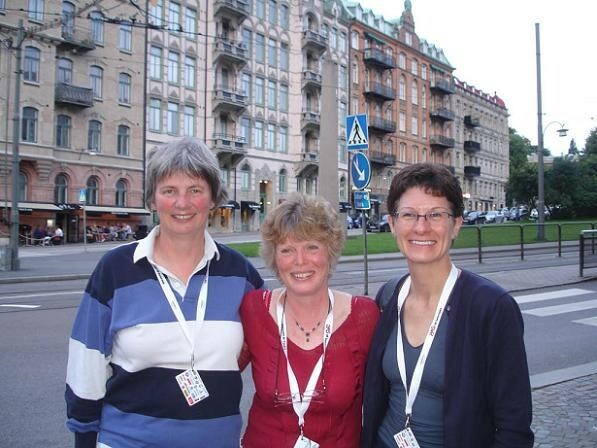 Congratulations to Frances Penwarden, Christine Goodair, Frances Penwarden and Anne Raymond, who travelled to Sweden to complete in the Fina 2010 World Masters Championships. Frances was in superb form, becoming world champion for the 200m breaststroke in a new course record, as well taking silver in the 100m breaststroke and 200 I.M, and bronze in the 200 fly. A fabulous result. Christine and Anne, although not in the medals, achieved long course P.B's for every event they swum. A really great achievement. Christine Goodair, Frances Penwarden and Anne Raymond.